Södra Wood Ltd shortlisted for Best Timber Brand! We're proud to announce that Södra Wood Ltd has been shortlisted for Builders Merchants Journal’s Best Timber Brand award. BMJ’s awards celebrate the very best brands, merchants and people at the heart of the builders merchants’ sector. Thank you to everyone that voted for us. Source high quality planed, strength-graded structural softwood, treated timber and engineered wood. Discover sustainable Södra Wood spruce and pine products for roofing, framing, walling, exterior projects and more. Find out more about our structural softwood, treated timber, engineered wood, including I-Joists and LVL, and Glulam and KVH products. Which grade of timber? What product for your application? On our website you can access our extensive resources area which includes product datasheets, technical guides and engineered wood software for design and specification advice. Download training and marketing materials plus an extensive image library. We understand having the right stock on-site and on time matters. 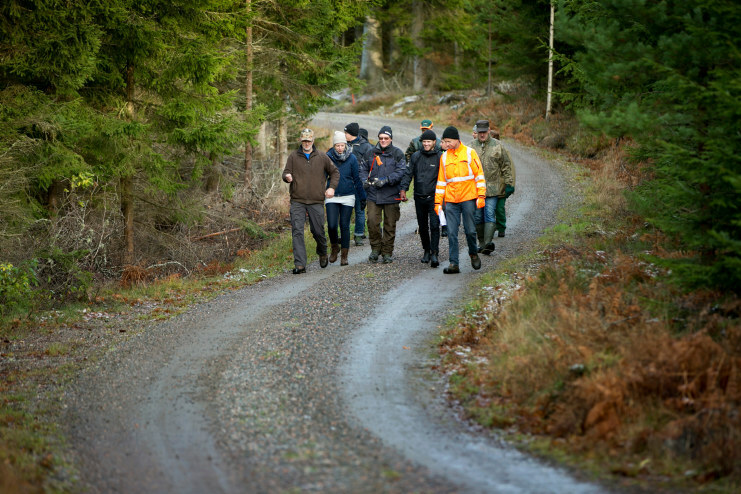 Södra’s unique co-operative with Swedish forest owners, seven sawmills and four distribution terminals across Great Britain and Ireland ensure supply continuity. Dependant on quantity we deliver sawn timber within two working days and treated timber within three working days. It’s easy to sell with Södra Wood. We provide dedicated resources for merchants including datasheets, and product care and storage guidance for staff. We’re also proud to offer the personal touch – with all the professional help and support you need. It’s easy to construct with Södra Wood. Light, versatile, sustainable, and durable, our wood can be precisely pre-cut, and easily put together with less manpower and minimal debris left behind for a streamlined construction process. It’s easy to design with Södra Wood. Our extensive range provides fully certified, sustainable timber solutions to both every day and more challenging design needs. Compared to brick and blockwork, timber construction is faster, cleaner and more cost-efficient. Sustainability comes naturally to us because forests have been our livelihood for generations.